This lovely botanical themed stationery box was received as the June issue of the Papergang subscription box. 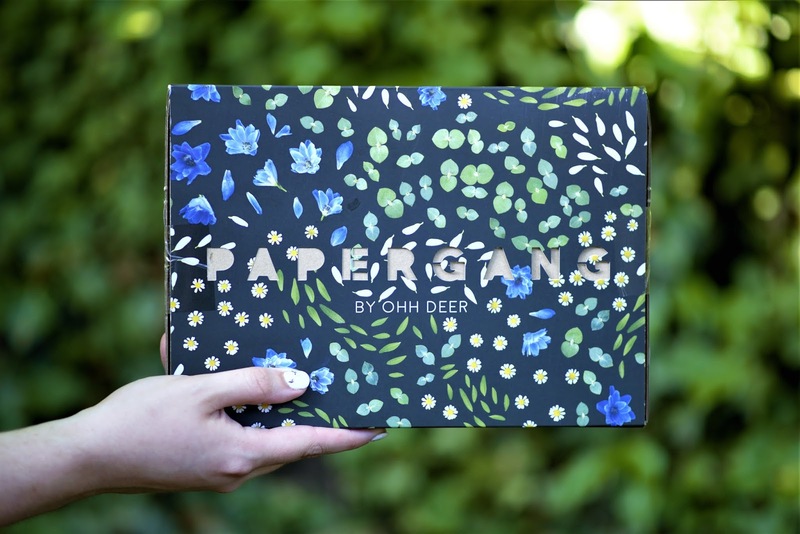 Papergang is OhhDeer's offering to the subscription box story - this is my 6th and final box that I bought from them and you can read all my previous reviews and unboxings here. If you've read or watched my previous reviews, you'll probably know that I've found the standard of item and taste of the art/designs very mixed. However, this is definitely a good box! I liked the overall theme as it's not too girly or childish, whilst still being pretty and the items inside were all functional which I'll use! My favourite item is the gold bamboo pen, which uses refillable cartridges - something I'm already using most days. This is the best mix of items I've received yet, and I'm actually quite sad that this is my last Papergang box. But I'm looking forward to trying a new box soon! If you would like to see the products in more detail, or watch my attempts at articulating myself during a heatwave you can also watch the YouTube video here.